Email the text of your ad to dondinsmore@montessori.org. Add any deadlines, if applicable. Don will create a contract / invoice based on $2 per word ($50 minimum) and return a contract and text for your approval. Pay for the ad using a credit card (or send a check to: Montessori Foundation / 19600 E State Road 64 / Bradenton, FL 3421. When payment is received, the ad will be posted on our website, where it will remain for two months. It will also be placed in Tomorrow’s Child if it is received at a time when there is an upcoming issue. If you do NOT want your ad in Tomorrow’s Child (i.e., you only want it onlilne), please let us know. The price is the same. If you have any questions, please feel free to call Don Dinsmore at 941-729-9565 or 800-655-5843. 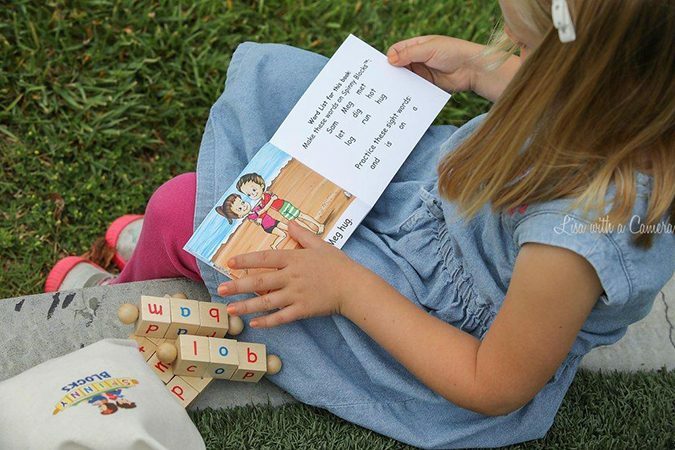 Help children discover the love of learning using Montessori inspired phonetic reading blocks. Each kit includes five spindles one for each vowel with three blocks on each spindle. Any way the block turns it forms a word. There are 72 word combinations. The kit also includes a child’s story book with words found on the blocks, and a bag so the learning journey can continue anywhere. Available now for $22.97 visit .childlearn.net or purchase on Amazon. You can also call (805)710-1117 or write us at 1245 Newport Ave; Arroyo Grande, CA 93420 to place an order. 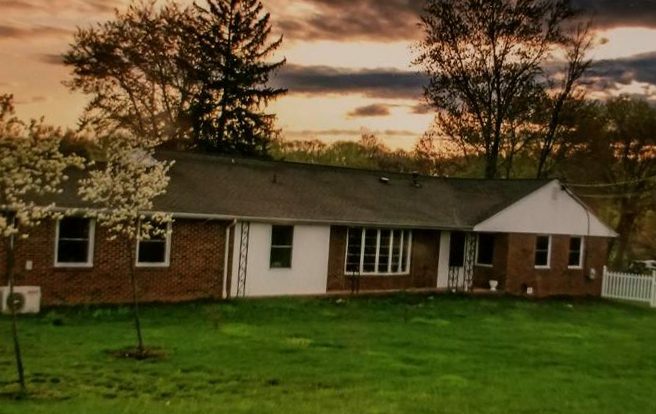 Turn-key, 3.25 acre, small Montessori school (land, multi-use building, materials, and furnishings) in picturesque, rural suburb of Baltimore, MD. School currently has Toddler – Upper Elementary (2-12) for a total of 60 students. We have a supportive Parent population that would love to see the school continue . Beautiful, well-established school. I have retired and moved out of state. The school Includes the land, multi-use building, furnishings & materials. We are the only Montessori school in the area and our closing has left many parents hopeful that the property will continue as a Montessori school. Salida Montessori Charter School, a thriving public school serving approximately 100 students (toddlers through eighth-grade) in Salida, Colorado, seeks a new Head of School. SMCS is located in a beautiful rural mountain town of 6,000 people that features a close-knit community, abundant outdoor recreational opportunities, and a vibrant historic arts district. Please visit http://www.mysmcs.org/jobs/ for more details. Email cover letter, resume and three professional references by Monday, March 18 to info@salidamcs.org. ToTH Montessori in Washington, DC is seeking a Toddler Guide for the 2019-2020 school year. Imagine being able to use your skills and knowledge of Montessori to help children in need, who benefit greatly from this beautiful philosophy. You are invited to do that, through the amazing non-profit, Helping Hands, which bring both education and medical aid to children in Nepal. As a volunteer, you will work with the children in a Montessori classroom, help expand the Montessori program, teach the villagers and the parents the Montessori philosophy, explore Nepal, and learn from the beautiful people and community. This 21-day trip to the Nepali village of Khandbari is a once in a lifetime opportunity to give back, connect, and bring back insights and knowledge that will inspire and move those around you. There will be two sessions in 2019: June 1st to the 20th & June 24th to July 14th. Cost: Whole trip will be $3,750. A $500 deposit is required once you apply. This trip is tax deductible. Important: February 28th, 2019 is the last day to register. For more information on the trip, the requirements to visit (such as medical shots), and the volunteering experience, please visit http://www.helpinghandsusa.org. Willow Oak Montessori is a public charter school and private preschool located in Northeast Chatham County, North Carolina, that serves over 250 students ages 3 years old through 8th grade from throughout the Triangle area. Established in 2013, the charter school grew organically from a Montessori Children’s House preschool and Kindergarten program, founded by parents with a desire to offer the value and benefits of Montessori education in a public school setting. The Charter school has achieved the growth estimates aspired to in the charter, and following a successful capital campaign, the Willow Oak community expects to break ground in 2019 to build a new, permanent campus that will combine the Charter and Children’s House schools. We are seeking a passionate leader who understands our mission, inspires our community, supports our excellent staff, and provides operational oversight to both our public Montessori charter school and private Montessori preschool. The Head of School will possess exceptional communication skills to facilitate effective communication within and across both schools, as well as the Board and broader community. As the school expands to its new facility, the Head of School will lead the integration efforts of the Children’s House and Charter schools, working with the Board to mitigate challenges during the building process and transition. The Head of School will ensure the continued stability and success of the organization by providing effective financial oversight and long-term planning. Additional priorities include retaining and recruiting highly qualified faculty and establishing processes to improve equity and diversity at all levels of the organization. The Head of School must model our key values of Individual Growth, Interdependence, Peaceful Cooperation, and Respectful Care. The ideal candidate will have a deep commitment to Montessori education, strong business acumen, collaborative leadership approach, and experience with non-profit boards. We welcome applicants who have experienced oppression, discrimination, or other adversity in their lives who are willing to bring insights from those experiences to our team. Previous experience operating a public Montessori school or non-profit organization is preferable. Headwaters School, a Pre-K through grade 12 independent school in Austin, TX is seeking an Lower Elementary Guide for the 2019-2020 Academic Year. Our ideal candidate will have Lower Elementary Montessori certification, as well as a Bachelor’s degree. To learn more about our community and submit an application, please visit https://www.headwaters.org/page/about/employment. Experienced Montessori middle and/or high school teacher who loves adolescents and is skilled at facilitating experiential, project-based, and discovery-oriented learning in a personalized student-centered Montessori learning community. Interested in a collaborative approach to instruction and learning. Willing to participate in community meetings, parent meetings, overnight trips, and community service projects. Willing to secure IB training in math or science or both. NewGate’s Upper School has 80 students from grades 7-12. We offer a Montessori-based approach to the International Baccalaureate Diploma Program. Must see curriculum as an integrated tapestry, and not as isolated subjects that stand alone. Our cozy Ashton Road Campus for toddlers through upper elementary. The NewGate School, Lab School of The Montessori Foundation, continues to grow and has positions available for Infant/Toddler, Primary, and Elementary Guides for the 2019/2020 school year. Located in Sarasota, FL, our students enjoy the vast cultural and environmental opportunities of this beautiful international city. The school offers programs for toddlers through secondary and has the only private IB International Baccalaureate Program in Sarasota. 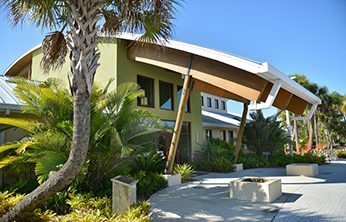 Our secondary Gold Level LEED certified campus location (7th through 12th grade) in nearby Lakewood Ranch. All positions require certification from MACTE teacher-accredited programs.The school offers health benefits and NewGate tuition assistance for children of our staff. The school’s community is active and supportive, and we have a national board of Montessori leaders. Learn more about NewGate at newgate.edu. Contact co-heads Tim Seldin (timseldin@montessori) or Robin Howe, EdD (robinhowe@montessori.org). Amare Montessori is nestled in the heart of Clarksville, TN, serving both long term residents and the community of Fort Campbell Military Base. Our AMS accredited school is home just under 100 students, ages 18 months through 6th grade. We believe in fostering a love for lifelong learning through authentic Montessori education, partnership with parents, and daily outdoor experiences. We are currently in search of a primary-trained Montessorian. Responsibilities will include planning and implementing lessons, record keeping, parent education and communication, and loyally representing our school within the community. Please send a cover letter, resume, and a copy of the teaching credential to Jaime at jyeager@amaremontessori.org. Are you a passionate and committed educator? Are you fascinated by the way children learn? Are you frustrated by traditional ways of teaching? Are you convinced there must be a better way? If you answer Yes to each of these questions, you are on the same page as us. We want to challenge the norm; think outside the box; be creative with our pedagogy and with our environment; take learning into new places and spaces, and prepare our children for a world we can only imagine. Personal growth; creativity; academic achievement – each is important in its own right, but we imagine a future of holistic integration that inspires our children to learn for the love of it and to graduate our schools prepared to follow the path of their choosing. Our school is rapidly taking shape in our thoughts and ideas, and now we need to turn it into reality. You will be central to that process. You will bring ideas and experiences of your own as well as embracing those of others; you will draw inspiration from research and from progressive models of education across the Globe. You will embrace the collaborative ethos of our strategists and research partners whilst demonstrating vision and leadership. You will translate an aspiration into practical innovation. Our school will be exciting, innovative and very different, and it will be at the heart of the Qatar Foundation’s family of schools in Education City in Doha. It will be a dual-language school (English & Arabic) and, as such, applications will be particularly welcome from candidates who fluent in both languages as well as native speakers of English or Arabic. Primary grades will open first to set the stage for the School to grow organically towards a full K-12 program on maturity when we expect to have around 480 students. The Garden School finished construction in July, 2017, and opened for its first class in August, 2018. We have been growing rapidly, and are now in need of a new teacher. Our model is a larger group, with three trained Montessori teachers, team teaching, with 33 children from 2 to 6. We are affiliated with AMS, and licensed by the state of Florida. Call Kathy Khatib, Director, at: 239-628-9395; or email at: kathy@gardenschoolnaples.com. Etonkids, a network of authentic Montessori early childhood programs, is expanding its family of schools to the West Coast.